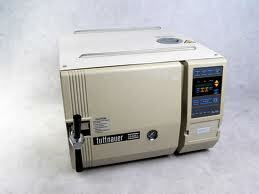 The various applications can be carried out using the autoclaves standard programs. 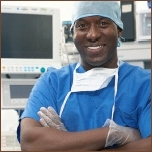 Additional options ensure more control over results and optimal, safe and repeatable sterilization processes. For special applications, our experienced team will customize a suitable method for you. Features: "The sterilizer microcomputer control system provides high reliability and safe operation. "6 individual preset programs. "LCD Displays pressure, temperature, time and alerts. "Pre-selected parameters remain programmed until altered. "Sterilization Initiation - the PT-100 temperature sensor in a reference vessel ensures that the set sterilization temperature is actually attained when sterilization starts. "Demineralized water level for steam generation is automatically regulated. "Exhaust steam is cooled down before leaving the autoclave. "Heat-resistant plastic covering on lid prevents contact with hot parts and protects from burning. "Temperature and pressure regulation "Pre-prepared for cooling - The autoclaves are prepared for the retrospective fitting of cooling equipment; both electronics and cooling coils can be fitted without difficulty. "Validation ports are available for external temperature sensors for validation and qualification purposes. "RS 232 interface Safety Features: "Pressure-activated door lock prevents the door from opening under pressure. "Temperature-dependent door lock - the system prevents the door from opening until the temperature drops below a specified level, thereby preventing delayed boiling "Door lock safety switch prevents the sterilization program from being started if the door has not been closed properly "Water level safety device prevents the autoclave from being heated up in the case of insufficient water "Excess temperature safety device switches off the heating elements if too high a temperature is attained. "Over-pressure valve releases over pressure in order to prevent high pressure risk.